For patients seeking quality restorative dental care, Independence Family Dentistry offers CEREC crowns, dental implants, and Invisalign clear braces to restore smiles! Independence Family Dentistry is proud to offer our patients permanent, one-visit crowns—made possible by our CEREC milling machine. Dental implants are ideal tooth-replacement solutions because they actually mimic the roots and look of a natural tooth. Invisalign is an excellent choice for teens and adults who want straighter teeth … and a more memorable smile. At Independence Family Dentistry, we can address all of your family’s dental needs—general, restorative and cosmetic. Our staff uses the latest techniques and technology to provide efficient, safe, and comfortable dental care. Prevention is our primary goal. With regular checkups—at least once every six months—we can check for problems before they become large and expensive to treat. During your appointment, Dr. Nakhla will discuss your current dental health, educate you about proper care and create custom treatment plans to ensure the continued health and beauty of your smile. At Independence Family Dentistry, we offer three kinds of sedation to ease the anxiety that many experience when undergoing dental procedures. We offer a full array of anesthetics available for even the most nervous patients. 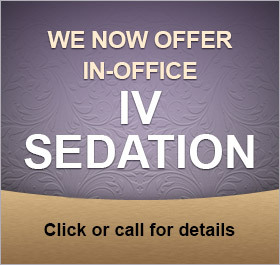 IV SEDATION makes it possible for you to get the dental care you need. ORAL CONSCIOUS SEDATION comes in the form of a pill than can be taken prior to the appointment. These forms of sedation allow us to correct years of painful and embarrassing problems in as little as one visit, all while minimizing stress and encouraging patient relaxation. If you just need a little something to calm you nerves we also provide NITROUS OXIDE (laughing gas) which can be used alone or in combination with our other sedation methods. For patients who are in the early stages of gum disease, the professionals at Independence Family Dentistry can perform periodontal therapy. Periodontal therapy uses scaling and root planning to reduce inflammation, as well as remove bacterial debris below and above the gum line. If your teeth are worn, you wake up with headaches or aching jaws, or your bite feels a bit “off”, you may have a temporomandibular joint (TMJ) disorder. 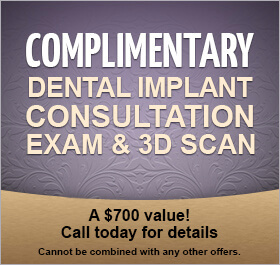 Dr. Nakhla can assess your jaw for issues, and create a custom device to alleviate the condition and your discomfort. At Independence Family Dentistry, we have the ability to create custom athletic mouthguards. Mouthguards offer much needed dental protection for athletes who participate in full-contact sports. Independence Family Dentistry provides a variety of family dentistry services for the Florence and Northern Kentucky area. Request your appointment!